6x6 stamp set. 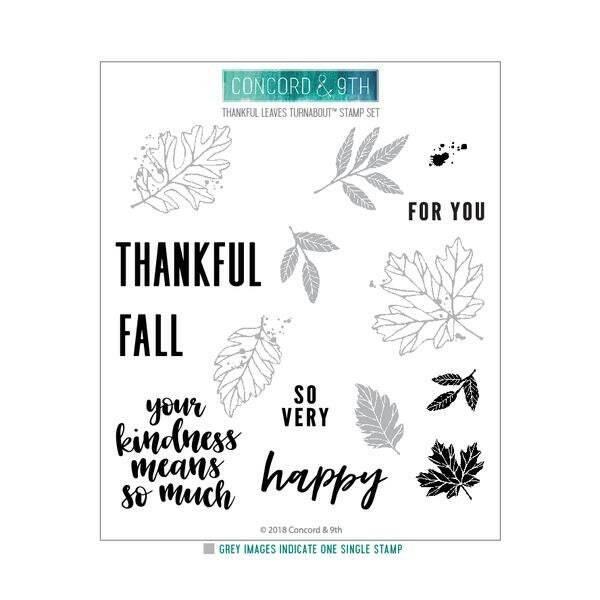 Coordinates with the Thankful Leaves dies. 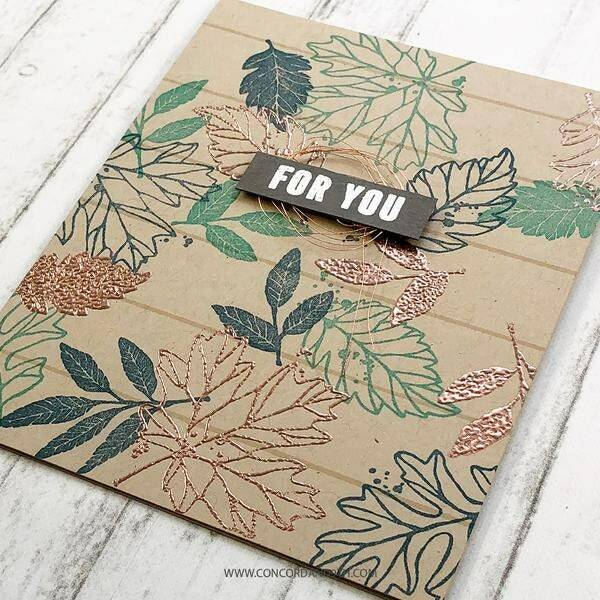 This design is more forgiving when stamped because the leaves overlap each other intentionally! 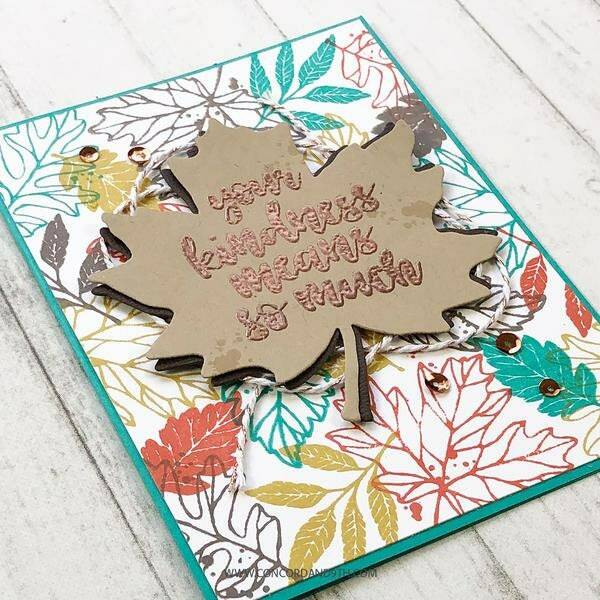 Easily create multi-colored backgrounds with just one stamp, one jig, 1-4 ink colors, an Original MISTI™ and a few turns of your paper! Stamp once, twice, three or four times. It's totally up to you! There is a downloadable alignment aid on the Concord and 9th web site. 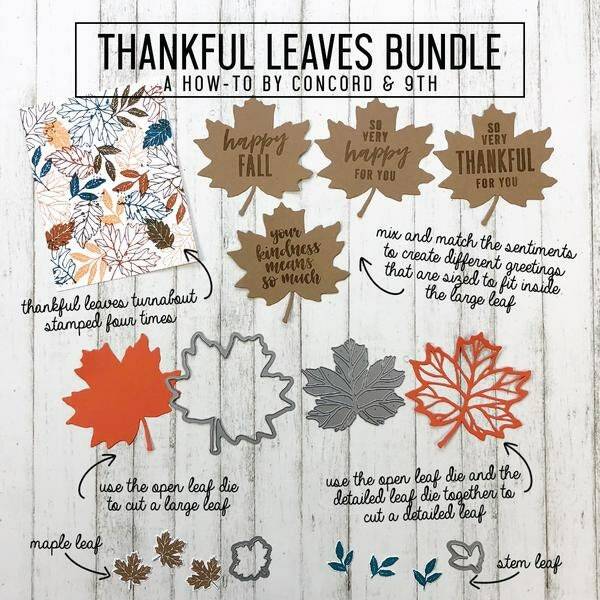 BUNDLE with Thankful Leaves dies! Leaves Turnabout = 5 1/2" x 5 1/4"
Your kindness means so much = 2" x 1 3/4"
THANKFUL = 2 1/4" x 3/4"
SO VERY = 3/4" x 5/8"